On June 9, President Obama announced three actions intended to help young Americans pay off their college debt. The first, an Executive Order, proposed to reduce the burden of college debt on nearly five million Americans by capping loan payments at 10 percent of the borrower’s monthly income. The order was signed by the President, who was joined by indebted college graduates in the East Room of the White House, The New York Times reported. In conjunction with the cap, a bill was introduced that, if passed by Congress, would allow 25 million borrowers to refinance student loans at lower interest rates. Seven in 10 college seniors who were graduated in 2012 had student loan debt, according to The Project on Student Debt. 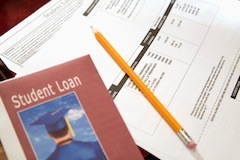 Of students surveyed, each borrower owed an average of $29,400. College debt has continued to increase year-to-year, jumping six percent each year from 2008 to 2012 for federal and private loans combined. The final action announced by the President to counterbalance student loan debt is for the renegotiating of contracts with Sallie Mae and other loan providers, in order to provide greater incentives to borrowers who pay off their loans. Although the cost of these initiatives is not yet known, The Secretary of Education Arne Duncan emphasized to reporters that she believes the changes will be good for the economy.